So watch the video above or read the instructions below to do it yourself! 1. Part your hair on the side. Set aside the front face framing piece of hair, and then take about a three inch wide section and start doing a dutch braid – splitting it into three sections and crossing the left piece under the middle, then the right piece under the middle. 2. 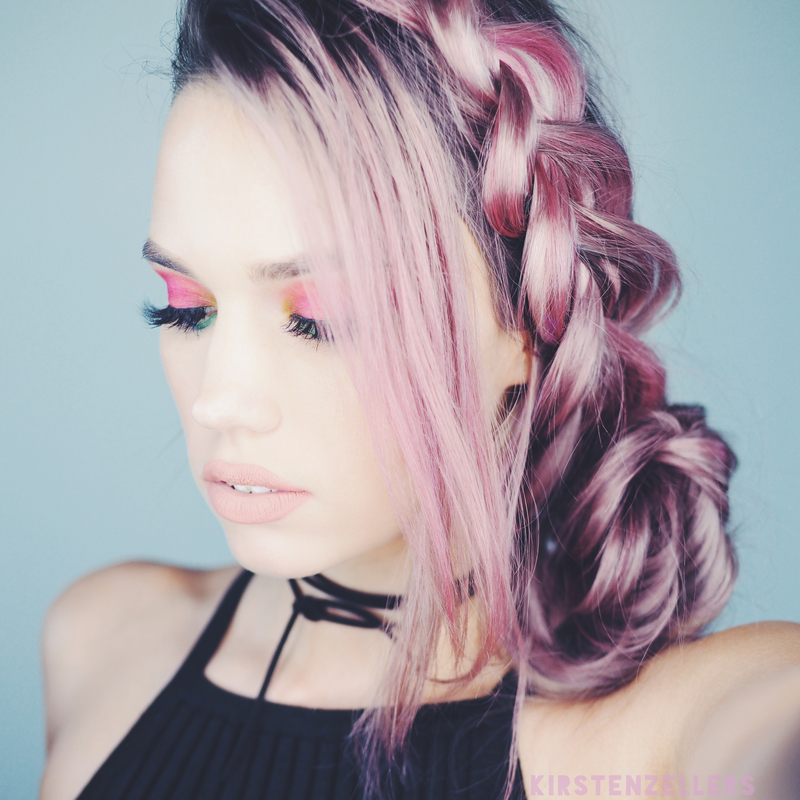 Start incorporating hair from about a three inch section down the side of your head into the pieces when you cross them under, making it a dutch french braid style. When you get to around your ear stop adding hair and continue doing the braid down the rest of your hair. Secure it with an elastic. 4. Secure the rest of your hair into a messy bun and then wrap the braid around the elastic and incorporate it into the bun with another elastic! Pull out any face framing pieces and you are donezo!